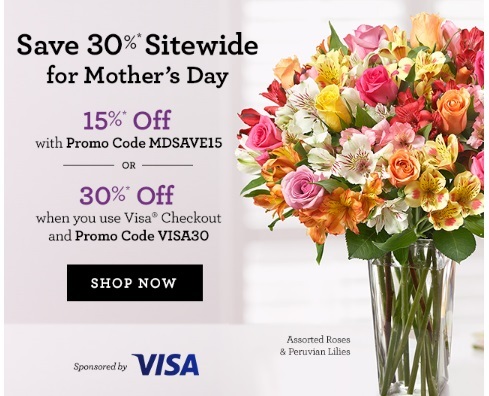 1800Flowers has a super great discount on now for Visa Checkout members! Get 30% off sitewide when you use Visa Checkout with the promo code below! Save 15% off with the promo code MDSAVE15 (with any other payment method). Offer is valid until May 6 2016.